We arrived in Beijing safe and sound, after a stopover in Detroit airport. Already primed with delicious baozi (small steamed buns) and hun dun (wonton soup) we also found the local supermarket, which is filled with all kinds of delicacies you won’t find in NYC. Emperors used to stand on this central stone to offer prayers to Heaven. Today, everyone waits to stand on the center stone and have their photo taken, but surprisingly no one speaks or says anything. You know me – I just had to sing, right from the Center Stone! 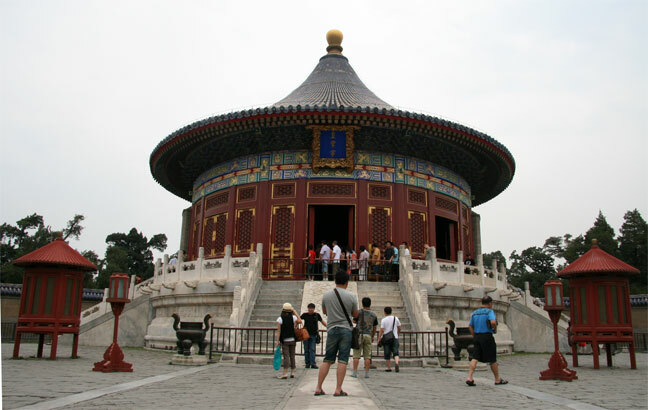 Temple of Heaven is very busy with tourists, yet even with the crowds it is stunning. Whenever possible, I walked along the sides, absorbing the beauty and simplicity of the circular structures, both the various silhouettes they create against the sky and the way one building frames the next. It’s also far less crowded along the edges, so easier to walk and imagine what it looked like hundreds of years ago! 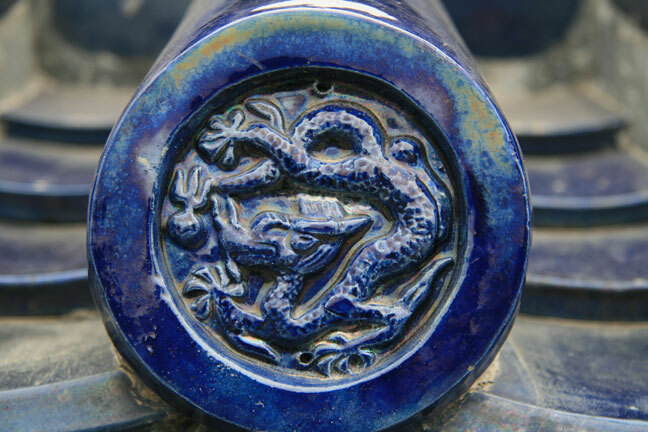 I especially love the deep blue glaze of the roof tiles, each with a dragon on the end (see below), contrasting against the white stone. Near the Echo Wall (clearly a much earlier version of the Grand Central effect, where you can whisper on one side and another person can hear the whisper clearly on the other side), we came across a marvelous grove of pine trees, many with the most curiously shaped burls. Along the Western side of the park the trees are mostly planted in rows, yet other sections left more wild – with winding paths and places to hang your bag on a tree. 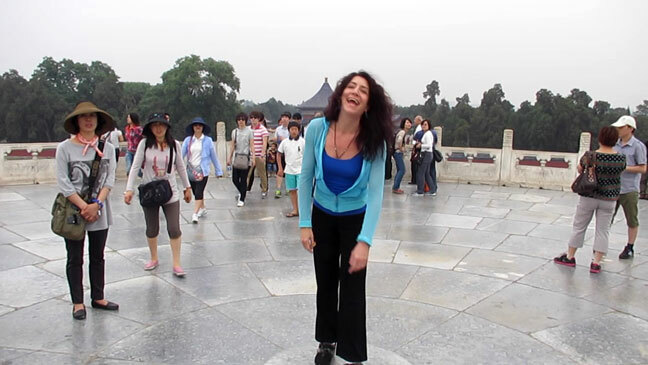 In the mornings many people practice qi gong and martial arts here, as well as sing opera, play erhu or other instruments (heard a marvelous flautist this afternoon), practice dance or simply sit and relax. An inspiring use of park space, an inspiring day! Have a wonderful time in China. Enjoy every minute. Safe travels.